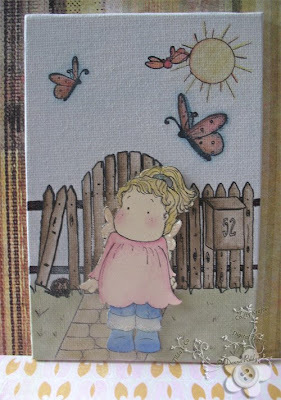 Little Tilda was Stamped and water coloured onto some card, Then cut out and added on to give her a little 3d Raised feel, and added a touch of Clear Sparkle Glitter Glue. 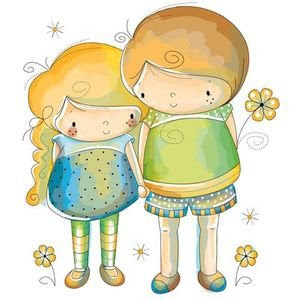 This entry was posted on 1.6.08 and is filed under Magnolia Stamps . You can follow any responses to this entry through the RSS 2.0 feed. You can leave a response, or trackback from your own site. Amazing Donna I love it. I really like your canvas board work and must give it a try myself. It is very gorgeous Donna, I adore it. Thank you for the comment, my sister gave me some money to treat myself as I was upset with it being the anniversary of my mothers death so that was why I had a lovely shop at your store. They arrived very promtly and are very beautiful and I will be recommending you to other stampers and crafters. Just saving up now for the new Tilda's I should have waited a week lol!